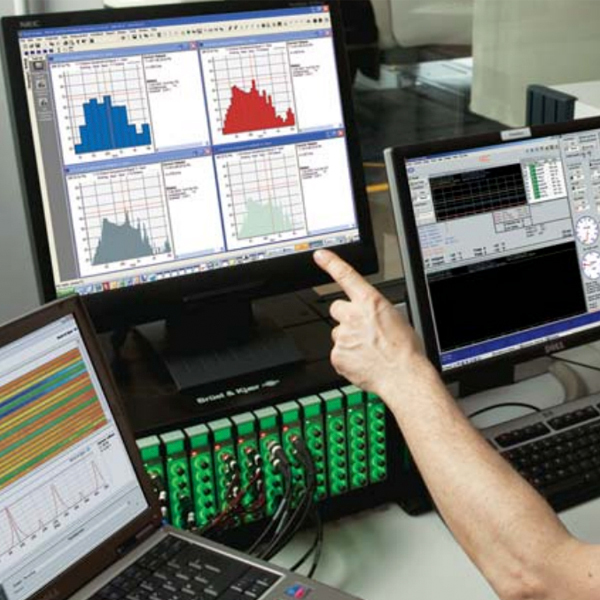 BK Connect is Brüel & Kjær’s platform for noise and vibration analysis and builds on over 60 years of measurement experience and innovation. The BK Connect hardware/software family is your solid foundation upon which to build a system to suit your present needs, and which can also be extended as your requirements change. This expandability, and the continuing development of new BK Connect applications and hardware, ensures the safety of your investment now and in the future. Please fill out the form to request a quote or receive more information about this product. Alternatively, you can call 1.877.295.4095 and we will be able to answer any questions you may have. Need Assistance or Additional Information? We help customers measure and manage the quality of sound and vibration in their products and acoustic environments. We’re here to help, simply get in touch. Xscala provides our customers with products and services in the acoustic and vibration measurement fields. We provide solutions to your noise and vibration measurement needs. All rentals available weekly or monthly, please contact us for pricing and availability. Brüel & Kjær product images, trademarks, service marks, trade names, logos and product names are the property of Brüel & Kjær or a third-party company. © Copyright 2018 Xscala Sound & Vibration. Web Design by Roketto.